If you happen to own one of Tesla Motors’ electric vehicles, then your reputation and cool factor is automatically elevated to unprecedented levels. There are plenty of vehicles on the market that look as good as Tesla vehicles. There are plenty of vehicles in the market that even offer the same performance. But how many of those vehicles can you actually summon to your position using your Apple Watch? 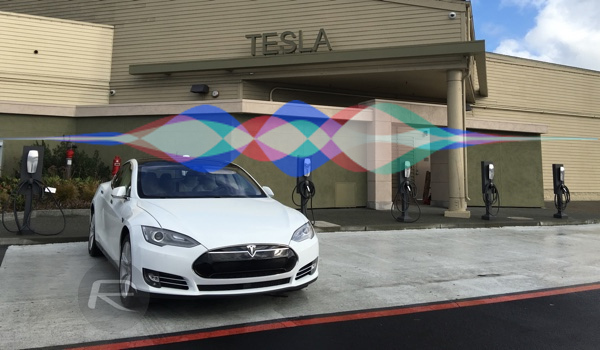 If you want to propel yourself into an even higher level of supremacy, then you may want to take notice of developer Sam Gabbay who has managed to control his Tesla using voice commands through a combination of Apple’s Siri digital assistant and the HomeKit framework. Let’s just take a step back and take a moment to consider the world that we live in. We are talking about using voice commands through a connected app to send explicit instructions to a road-legal electric vehicle. Given the fact that we’re actually talking about achieving something that is inherently quite complex, you would be right in assuming that this isn’t just a simple plug-and-play type scenario that will have you up and running in seconds through a simple app. There is actually quite a complex process to go through to get this up and running. In fact, the process actually requires the user to have a number of different apps installed on the Mac, such as the latest version of Xcode and the Atom text editor for code file alteration. It also requires the installation of Node.js and the utilization of Gabbay’s own Energi app (available on the App Store) which functions as a simple remote for Tesla vehicles. That app is however a paid one, meaning that there would be a small financial outlay for anyone wanting to control their Tesla via Siri. With that said, if you have shelled out for a Tesla, then chances are that you won’t mind paying $4.99 for an app to work alongside it. Gabbay has published the necessary code files and associated installation steps over on his “tesla-siri-homekit” GitHub page. There’s also an accompanying 7-minute long instructional video that shows interested parties exactly how to get up and running with the technologies necessary to perform this awesome hack. You can watch this video below. How do you feel about this? Would you trust your prized possession in the hands of Apple’s Siri?